This morning, I was thinking about the Western Washington SCBWI conference that I attended last April. Melissa Sweet was a guest speaker and had mentioned in one of her sessions that she had taken on a 365-day project of illustrating the weather; her creative warm up for the day. I liked the sound of that idea, whether as a warm up for my illustrating or writing. To just put something on that blank canvas, ANYTHING, everyday, would not only limber up my mind for bigger ideas or create seeds of inspiration, but it would also help to create a good habit. I could certainly use more of those. I have a friend on Facebook who is a photographer and is part of the 365 Project. They tout "Document a year of your life by taking a photo a day." 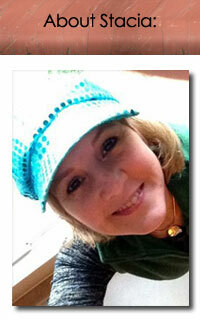 How about we follow Melissa Sweet's idea in combination with the 365 Project, and make art everyday? A simple sketch, paint to paper, words, a creative journal entry? Anything goes, everyday, for one year. I found another creative website dedicated to this idea called, Make Something 365 & Get Unstuck by Noah Scalin. If you'd like to share your project, you can do so on his blog. For all you Creative Cuppers, who want to participate, share here! It's your project, your rules. Guess I better get to my studio and start creating a good habit. I'll be back shortly with Project 1 of 365.